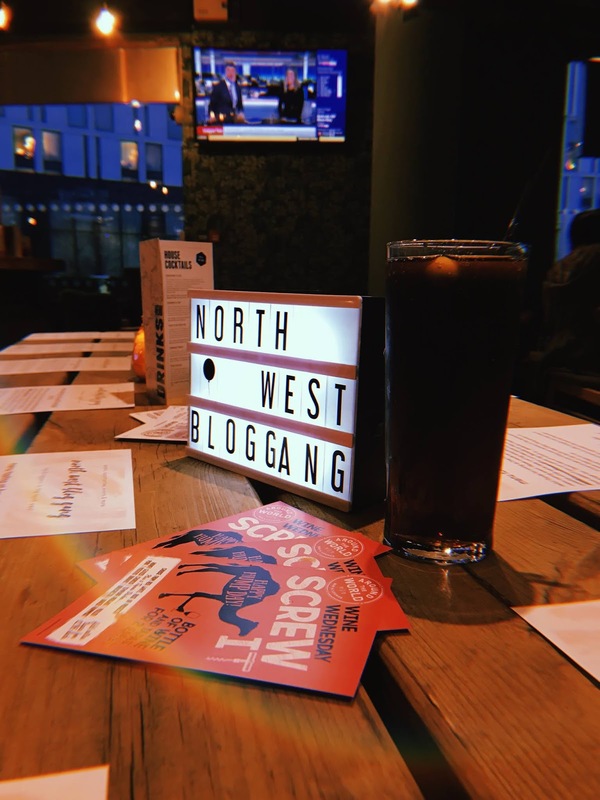 Earlier this week, I organised for a bunch of local bloggers to attend a menu tasting event at Around The World, which is part of the Bierkeller Entertainment Complex in Liverpool One - we got together to see what food was on offer, and just had an absolute ball. 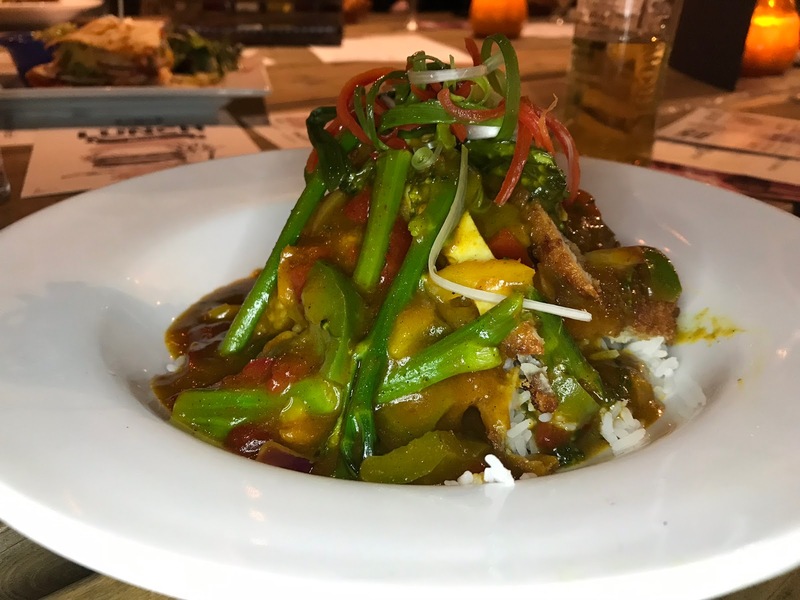 Around The World has a lunch menu that offers decent portion sizes at affordable prices, so it's perfect for your lunch break if you're in the area. I opted for the chicken katsu curry, which happened to be my first ever katsu, and it was so nice. I thought the chicken was really tender, and the rice was done properly, and the sauce was good - there was plenty of veggies chucked in too. Obviously I can't compare it to any other katsu curries, but I'd definitely eat this one again! At £6, I thought it was spot on. There's loads of other options on the lunch menu, too, including sandwiches, pasta and fish & chips. They also offer a hump day tapas deal every Wednesday - a bottle of wine (or prosecco) and two tapas dishes for £14.95 which I reckon is a decent price. 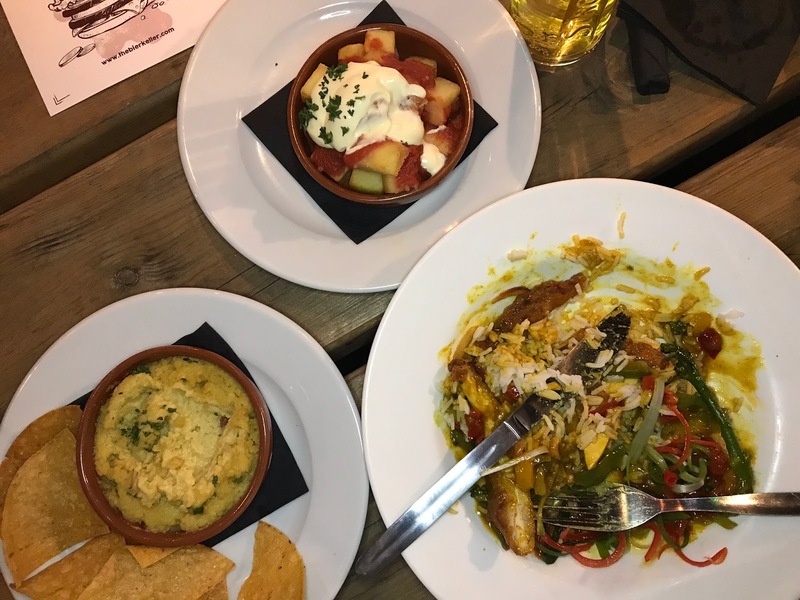 There are six different tapas dishes to choose from, and I went for baked hummus and patatas bravas which were both amazing. 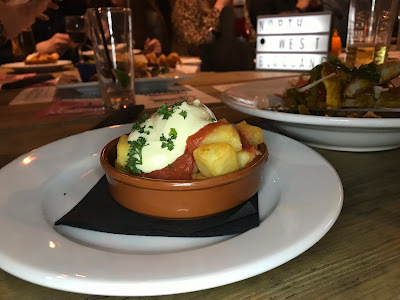 The potatoes were hot and soft and although there was a bit too much sauce for me personally, if you're into that then you'll love it even more than I did. The star of the show, of the whole night for me, was the baked hummus - I never want to eat hummus again unless it's baked, I swear. 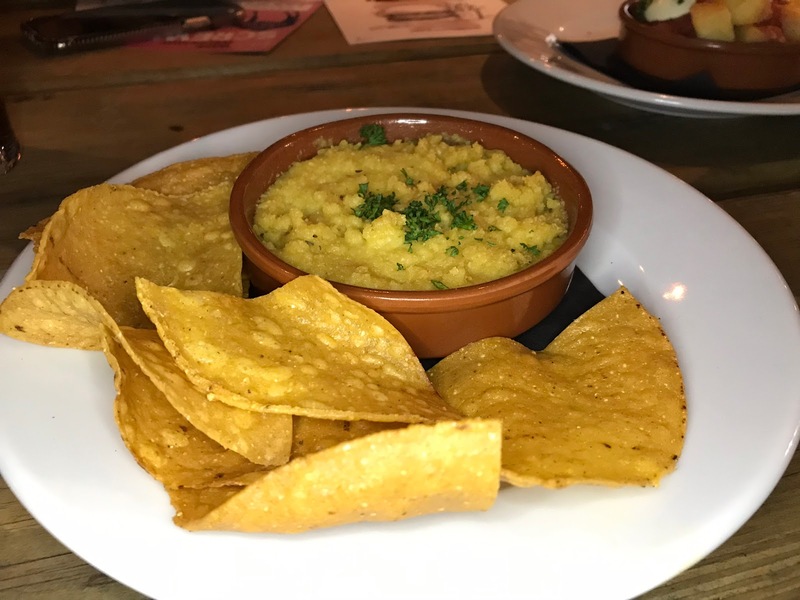 It comes with tortilla chips and it's hot and has kind of a hard surface that you break through and honestly, it has changed my life. If you're looking for somewhere to get a nice affordable lunch in Liverpool, Around The World is definitely somewhere to consider - huge thanks to them for having us in for the night, we really enjoyed it and I'll certainly be back!